I’m super excited to tell you about the Curious Chef kitchen tools for children. As a Jamie Oliver Food Revolution Ambassador, I work hard to encourage parents to get their children into the kitchen. Teaching basic cooking skills is one of the best ways to make sure our children make lifelong healthy eating decisions. While working with children (including my own kids) in the kitchen, I’ve noticed that my kitchen tools don’t always seem to be the best option. Sure, I’ve taught the kids to pull back their fingers when they are cutting, but lets just say that we still have used a few bandages. 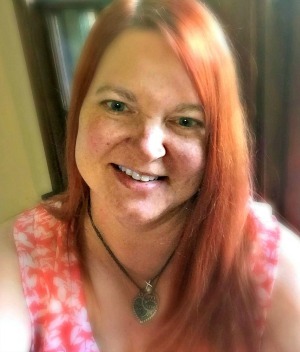 I was hanging out on Twitter one day………as I often do and I saw a tweet from Curious Chef. I don’t remember the exact tweet, but right away I noticed that their philosophy of healthy cooking and eating fit right in with mine. I decided to check them out and very quickly I got excited about letting my kids try out their cooking tools. My daughter was very excited when the box with the 6 Piece Fruit and Veggie Prep Kit arrived. Right away she thought it was for her. She is really getting into cooking. The kit includes a nylon knife that cuts food, but not skin. Since it is not metal, it is perfect for cutting lettuce, too. Metal knives can turn your lettuce brown. Nylon does not. The kit also includes a melon baller, apple slicer, vegetable peeler, and a large silicone mixing spoon. My daughter fell in love with the vegetable scrubbing brush…….don’t ask me why! She has been a scrubbing fool! I had to put a stop to it when she started scrubbing her brothers. Although, sometimes I think they need scrubbing more than the vegetables. LOL! Curious Chef also throws in a shopping list and some stickers to make things extra fun. These are all real kitchen tools for kids. Sure you could buy them some toys, but why not the real thing? The knife is BPA free and good for kids 4 and older. I really like the rubber grips on the handle. They seem to help keep a solid grip on the handle. We tried out the kit making a salad and it worked really well. The vegetable peeler is sharp so be aware of that with younger children. The knife worked well, but it takes some work to get through harder items. I don’t think it would work well on softer items as it may just tear through them rather than actually cutting them. In short………..we love our Curious Chef kitchen tools. My daughter gets out the tools and creates snacks and small meals for herself and her brothers. I pretend not to notice because I love to see what she creates on her own. Here is a salad we made together using our Curious Chef Tools. Teaching your children the skills they need to cook is one of the most important things you can do for their future health. Why not make it fund bonding time too. Little M's Salad Spring Mix Greens Strawberries Blueberries Mandarin Oranges 1 Cucumber 1. Use your Curious Chef vegetable peeler to peel the cucumber. 2. Using your Curious Chef knife slice cucumber and quarter the strawberries. 3. Toss all ingredients together. Use your Curious Chef vegetable peeler to peel the cucumber. Using your Curious Chef knife slice cucumber and quarter the strawberries. We like to use Little Family Adventure’s Poppyseed dressing with this salad. It’s not too sweet and the creaminess goes nicely with the fruit. Want to try the Curious Chef kitchen tools? You can find them at Amazon (where you can pretty much find everything) using my affiliate links throughout this post. The kits also make awesome birthday presents. Spread the love of healthy cooking to all of your kids’ friends as well. Here is a link to the 25 Piece Kitchen Basics Set. We also really like the 6-Piece Cookie Set, the 5 Piece Pizza Kit, and the 17-Piece Measure and Prep Kit. 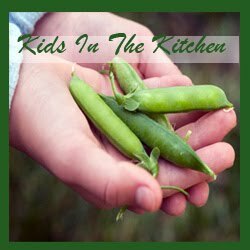 Do your kids help you in the kitchen? How young were they when you let them use a knife? Leave us a comment and let’s get the conversation going! Make sure you subscribe by email so you don’t miss a single issue. Please also follow us on our various social media. You can easily find me there if you have questions. Twitter is a great place to chat. Follow me @jugglngrealfood and introduce yourself. The Juggling Pinterest Boards are crammed with lots of great information and recipes. Check them out! The tools are really cool! It's so fun for them to have tools of their own. Amari loves to help! She's a wiz at baking, with a little help putting things into/out of the oven. Eliana likes to feed the fruits/veg into the juicer! Sounds like you are doing a great job teaching your kids to cook Amy. Way to go! How wouldn't we use these! LOL My boys love getting into the kitchen. I love to hear your boys like to cook. When my oldest son was young he loved to wear his Iron Chef apron. My boys love to help me cook. My oldest is a fantastic pizza maker, I can't stretch the dough the way he can to make something that resembles a circle. Would love to have my younger ones help wash fruits and veggies. Thanks for the chance to win. Thanks for stopping by Tanya! Sounds like your kids are quite active in the kitchen. That is so cool! Pizza dough is something my son helps me with too. That is too funny! Hi Nicole! You "always have kids in the kitchen". That is music to my ears! This is great! My kids are a little old for this…they no longer cook with me, but they do all cook by themselves. I am going to tell my sister in law about this! Your kids are older, but the knife works great on lettuce. It's nylon so it doesn't turn your lettuce brown. And then there is always the scrubber……..family fun for all. LOL! That's awesome Nicole! Giving your boys their own tools would definitely encourage them to spend more time in the kitchen. I love to hear that you are encouraging them to cook with you. You are awesome! Does it have to be for kids? LOL It looks like something I'd enjoy! Just for kids………..oh my goodness I use the tools all of the time. They are designed to encourage kids to cook, but they are real kitchen tools. They were well no matter was our age is Cassandra. I want the melon baller! My kids would love this! The melon baller works great Mary. We use it to take the tops off of our strawberries too. This looks awesome!! Thanks for the chance to win! The Curious Chef tools are a wonderful quality tool and lots of fun Meeghan. Good luck! My kids are having a great time with the tools Ashley. I hope you get to check them out as well. Love it Kristen! You are my hero. Not only was I excited to have these tools for my kids to use, but I think these kits make such wonderful gifts as well. They are going to be on the top of my gift-giving idea list.